A couple of weekends ago, I drove to the Pink Store in Palomas, Mexico, directly across the border from Columbus, N.M., to search for some Mexican yard pottery and Christmas gifts. For those of you who have not been to either border city, Columbus has a population of about 1,800, and Palomas has a population of about 5,000 people. Why, you ask, would I drive to such a remote border crossing to purchase items that I could procure in larger cities such as Las Cruces or El Paso? Two reasons: First, I wanted to check the progress on the $85.6 million-dollar reconstruction of the Columbus Port of Entry; and second, I love going to this area because it is a microcosm of the U.S.-Mexico border. The reconstruction of the Columbus Port of Entry is progressing nicely. The port facilities are modern and have some nifty architectural touches. On my way back from Palomas, I drove smoothly through the newly designed lanes with modern booths. On the Mexican side of the border crossing, Mexican construction crews have been hard at work constructing their new building in coordination with the U.S. side. The Columbus/Palomas Port of Entry is not one of the major port crossings on the U.S.-Mexico border, but it will very soon have beautiful modern infrastructure that hopefully will efficiently and securely process vehicle and pedestrian traffic between the two countries. 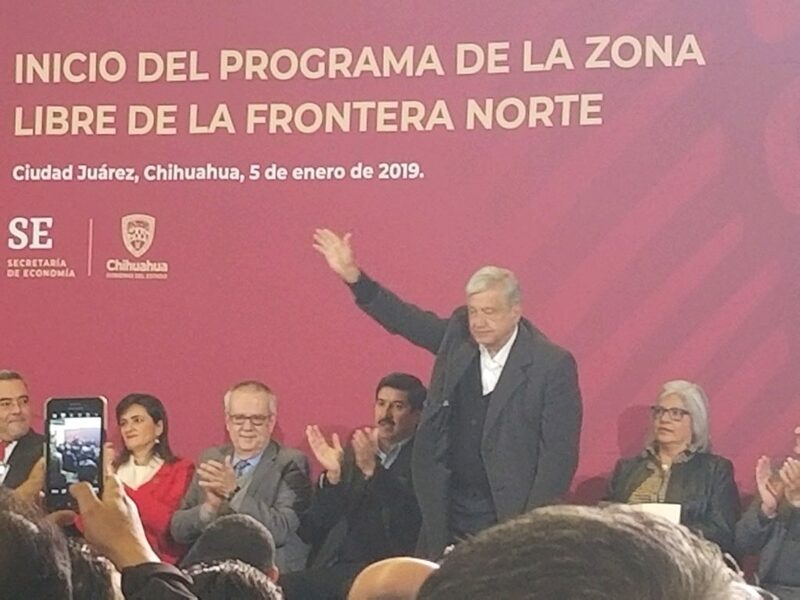 Every time I visit the Pink Store, which is a beautiful facility that consists of a restaurant with delicious Mexican food and rooms/warehouses of arts and crafts from all over Mexico, I realize that the border is not a place that separates our two countries, it is a place where the people of our two countries come together. 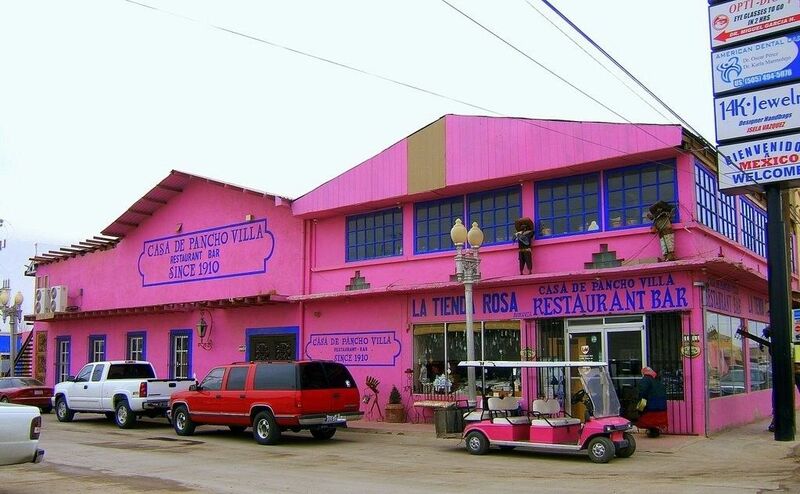 The Pink Store is located about one block south of the border, and it is customary to see patrons park their cars in a parking lot on the U.S. side of the border and walk the short distance to this destination. Others drive their cars into Palomas and park near the Pink Store, where eager workers will offer to wash and wax their vehicles while they shop. Inside you will hear more English than Spanish spoken by the hordes of Americans who have discovered this border gem. Snowbirds, bikers and families from the U.S. drink their beer and eat their red enchiladas. Others marvel over the rooms of fine arts and crafts that are for sale. Pink Store staff, some of whom have dual citizenship or have gone to school in Columbus and farther north in Deming, speak to them in English. Every time I visit, everybody seems to have a good time. Crossing the border back to the U.S., I packed my goods and drove to the Dollar Store, just a few hundred yards north of the port of entry to buy a soda for the hourlong journey to my home in Santa Teresa. Inside the Dollar Store, I heard nothing but Spanish being spoken, mostly by Mexican citizens traveling back to Mexico or who were just entering the U.S. Store staff spoke to their patrons in Spanish. If I didn’t know where I was, or if I were blindfolded, I would have sworn I was in a Mexican retail establishment. I purchased my soda, spoke to the cashier in Spanish and walked to my car. Driving home, I had a moment of introspection. At the border, we are neighbors and friends. It is completely understood that there are two distinct countries with different laws and customs. However, people are people, and when they live near each other, they find ways to cooperate and enjoy each other’s company. Each country has so much to offer the other. 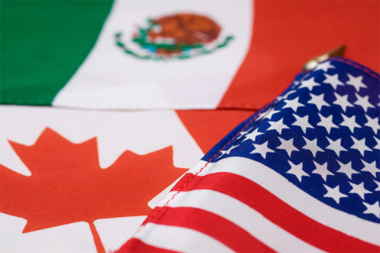 Mexico has youthful energy, an older history than the U.S. and ancient cultures that express themselves in exquisite foods and strikingly beautiful arts and crafts that millions of American are proud to put in their homes or businesses. Mexican people tend to be well-mannered and tolerant of other cultures, Mexico having been a melting pot of different cultures for thousands of years. The U.S. offers modernity, opportunity, a variety of shopping and pop cultures that have the rest of the world singing our songs and watching our movies. And we ourselves are a melting pot for every culture from around the world. We have a “can-do” attitude that has made our country great and our people strong. These two worlds don’t collide, rather they meld at the border and residents tend to adopt the best elements of each country. The border is the conduit that brings us together to share each other’s strengths and life experiences from a humanistic standpoint. The Columbus/Palomas region is a small but obvious testament to this.